This is RC Channel rear flat oil damper Kit. It is only fit on RC Channel rear aluminum roll guard. 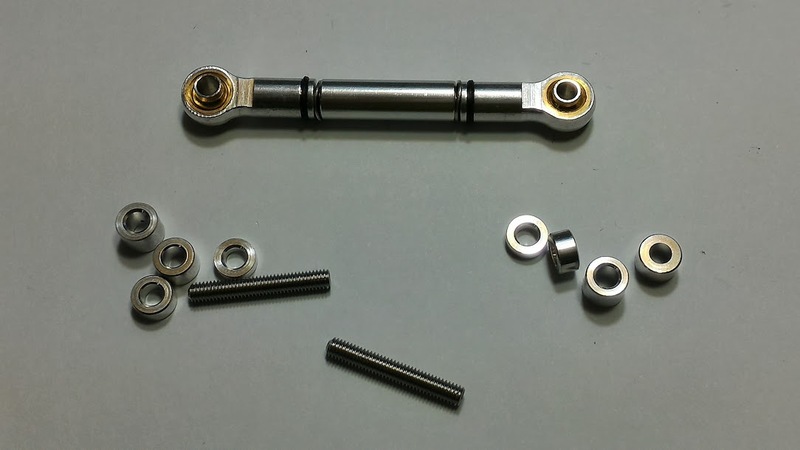 It is also fit on vintage or released TAMIYA original rear arm and RC Channel rear arm. 1x Rear aluminum roll guard set. 1x Rear flat oil damper with spring assembly #OP84380. 1x Oil damper bottle with bracket #MA84255. 2x Spring arm assembly (left and right). Rear hub for RCC SRB metal kit.